The locals, probably the family of the road construction workers, were walking in that hot sun. I came out to take a picture and in a second I felt the extreme heat. The Earth felt like a tandur (Indian traditional oven). By the time I finished taking pictures, could be a minute or so, I was about to get heat stroke! I wonder how those men and women with young children were working in that harsh punishing sun. Indian Army has a base here. Why not? Its a country border!! These soldiers sit under camouflaged roofs along the road in that thorny forest. Also they have banners displaying availability of water for people who are in need. 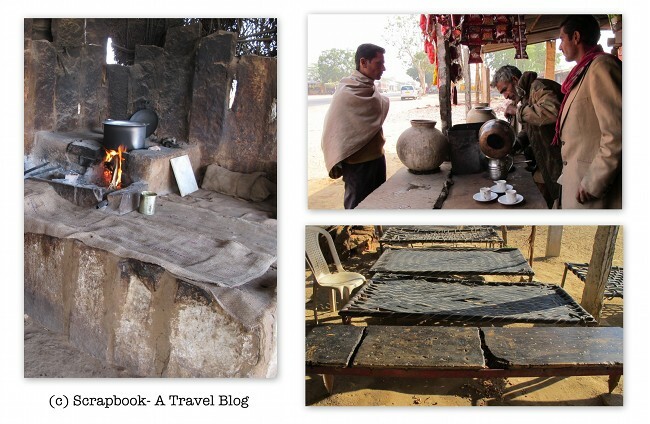 There were roadside tea-shacks with charpai (literally means 4-legs, a bench) to rest. It is a funny experience to sit on these ... Also, There is water scarcity here ... Oh! don't ask what's new? The scarcity is not like in our cities ... We ran out of water but then fortunately for us, at Tanot Army base near Tanot Mata temple, they had an RO filter. Otherwise, the very hard water is difficult to drink! The army guys are more than happy to help civilians. I saw locals storing water in these pots. An old tyre put for a good use huh? For lunch the bare minimum roti-subji-onion. 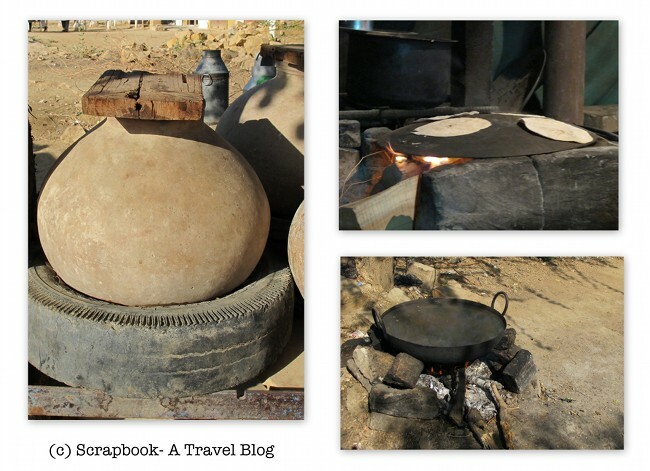 For the first time I saw roti being cooked on an inverted griddle! The rotis and the kair-sanghari sabji cooked in oil were very tasty. But honestly, raw onion is not my kind of food. Water is heated in a kadai outside in the open. I wondered why water is being heated with fire. Already unbearable natural heat was heating, burning I must say, everything around. There was a basti (a poor settlement), I could see it few blocks away from the road up on the dunes ... the driver mentioned the movie Rudali was shot there ... I didn't take any pictures here ... because I was in denial that people could live in such places! I thought it would be disrespectful to shoot such pictures and display them around :( No water, no shade ... how could anybody survive there?! It was a memorable experience in the Remote Rajasthan. I really long for more of such experiences! 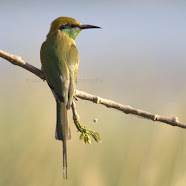 For more places on Off the beaten track click HERE. Nicely written Kusum. And rotis on the inverted side, well that's interesting. I cannot take onions as well. Maybe they boil the water to make the hard water dirnkable! Thanks Jenny! May be you are right about boiling water! Very enjoyable read! The barren beauty of Jaisalmer and surrounding areas is seen to be believed! 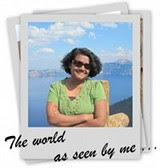 lovely post , Kusum! Awesome experience indeed. Did you mostly hitchhike? Thanks! I didn't hitch-hike, not quite yet!